When did I first hear “The selling starts when the customer says ‘No’?” It certainly goes back decades to one of my first jobs. I must have really taken it to heart, because I have adopted an instinctive reaction to sales resistance, which is to take it as an invitation to probe for the real source of the objection, not as a defeat. One reason why experienced sales people like my Strategic Sales Tactics sales training sessions, and the Masters of Media Selling public seminars I conduct is because I tell them up front, it’s not about winning the business you’d get anyway, it’s about winning the hard ones. That is what makes sales people valuable and sometimes heroes. I recently had a prospective consulting client tell me that he thought his sales people might be just “order takers.” It’s a common concern of management: Are my ad sales people really conquering new accounts? That is why I loved the recent story by Vanessa K. Bohns of Cornell in the Harvard Business Review “You’re Already More Persuasive than You Think.” The story is based on research by Bohns and Francis J. Flynn of Stanford that points out that a sample of subjects were far too pessimistic about whether a target would agree to a request, compared to the results when asked. 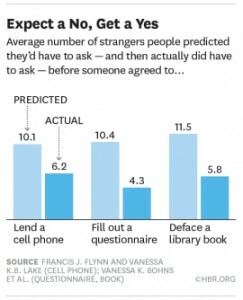 When study subjects were asked how many different strangers they would have to ask before they would be granted a favor such as to borrow a cell phone or fill out a questionnaire, participants predicted more then 10 requests to get a “yes” but when they performed the “ask” they received the favor after asking only about half as many strangers. But the evidence doesn’t stop with people being too pessimistic. Other research shows that going back to people who have said “No” is not only productive, but they may be MORE LIKELY to answer yes the second time they are asked. 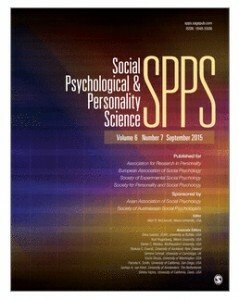 Research published in “Once Bitten, Twice Shy: The Effect of a Past Refusal on Expectations of Future Compliance” (subscription required) in the journal Social Psychological and Personality Science March 2014 issue shows that people who have said “No” to a request may feel so guilty they are more likely to say “Yes” upon being approached a second time. Do you want to sell more advertising by being politely persistent? Need better skills for uncovering and overcoming objections? 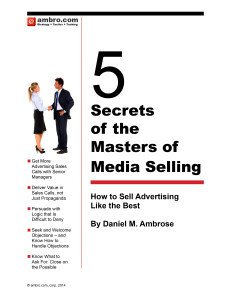 Schedule a Strategic Sales Tactics, customized ad-sales training seminar for your team or attend a public Masters of Media Selling seminar this fall. ← What is Ziff-Davis Structured Selling Ad-Sales Training?